Is Addiction Running / Ruining Your Life? 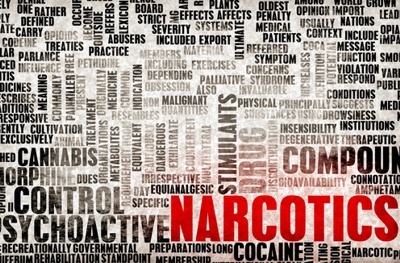 Many who use ‘recreational’ drugs, including heroin and prescription opiate pain relievers are astonished when psychological and physiological dependence occurs. Many, if not most, begin to experience discomfort when drugs ‘wear off’ and can only get relief from taking more of the drug they’re abusing. As this cycle progresses, dependence develops into daily drug use and addiction. Addiction occurs in people from all walks of life. Stereotypes resemble depraved criminals; the reality is much different – opioid addicted persons are often people that look like everyday people. Mothers, fathers, neighbors, students, and even doctors succumb to addiction. Unfortunately, many people allow the stigma surrounding opiate and other addictions to prevent them from getting the help they need–help that will save their life. Drug addiction can strike anyone; however, this addiction doesn’t have to destroy a life. If you or someone you love is suffering from an addiction to pain killers, prescription drugs, or illegal substances, there are treatment options available. Gulf Coast Addiction Medicine specializes in the treatment of opiate addiction using evidence based modalities. We provide sound, evidence-based addiction rehab treatment options including maintenance. Ours is an outpatient program which creates custom treatment plans for people with substance abuse problems. Often our opiate, alcohol treatment and drug treatment plans include FDA-approved medications designed to treat the debilitating effects of withdrawal, and we also make use of cognitive behavioral and motivational counseling. We offer medication assisted treatment utilizing the medication suboxone, which has proven to be an effective addiction treatment method. Every treatment method we prescribe is supported by years of research. If it is your time to liberate yourself from addiction or if you are seeking help for a loved one, call Gulf Coast Addiction Medicine at 850.522.1516 – we’re here to help 24 hours a day. Start a new drug free life today!